I have been using the Tenba Solstice 24L for a good few weeks now. 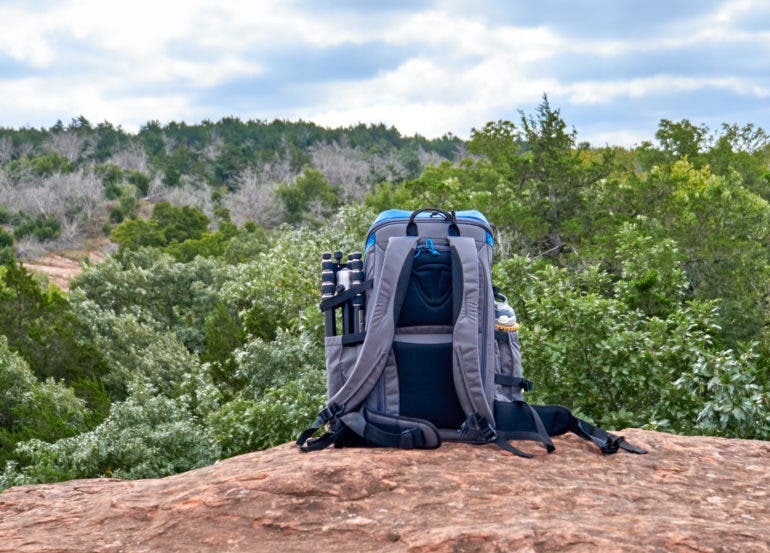 During this time I have used the bag exclusively during my long hikes through the rough yet beautiful Oklahoma Terrain, and I have been through downtown Oklahoma City with it while on my way to Photoshoots. I have used the bag in as many situations as I possibly could so that I could see if this was ‘The Bag’ to trust my gear with. 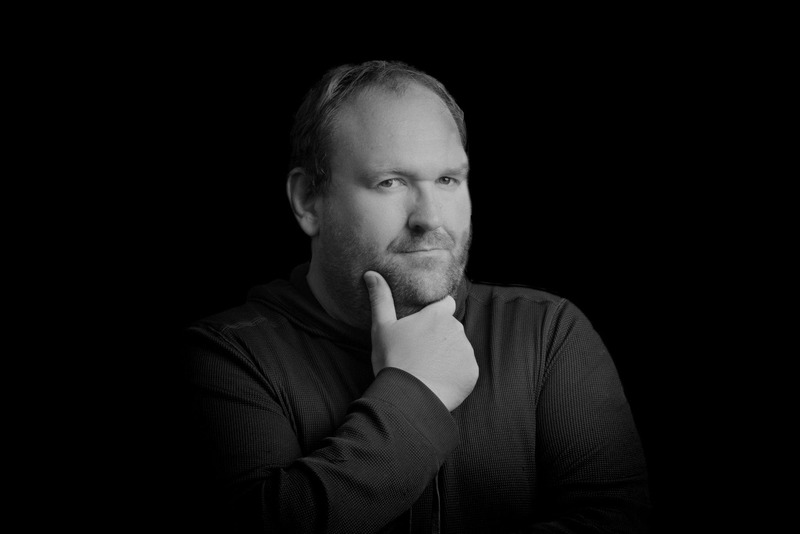 I even went through a complete camera setup change during this time, and I was eager to see if it would adapt as some metrics of the relationship changed. 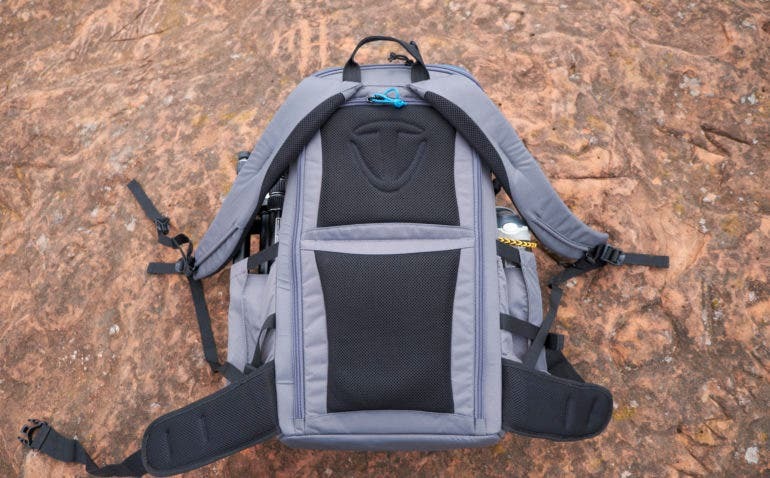 Has the Tenba Solstice 24L let me down during our honeymoon period? No, not at all. In fact this camera bag has seriously impressed me, but just like with all relationships there are some annoying things I just don’t like. The Tenba Solstice 24L was used with a Canon 6D MkII, Canon 70D, GoPro Hero 5, Fujifilm X-T3, Sigma 150-600mm, Canon 24-105mm L, Canon 50mm, Samyang 14mm, Fujifilm 18-55mm, Fujifilm 55-200mm, Godox flash and transmitter, Flashpoint AD200 and Transmitter, Manfrotto Element tripod, 40Oz water bottle, and various other accessories such as camera and lens cleaning equipment, batteries, chargers snacks, pens, and a Surface Pro tablet. Rear opening camera doorProvides fast access to gear without taking the bag off and putting in on the ground. 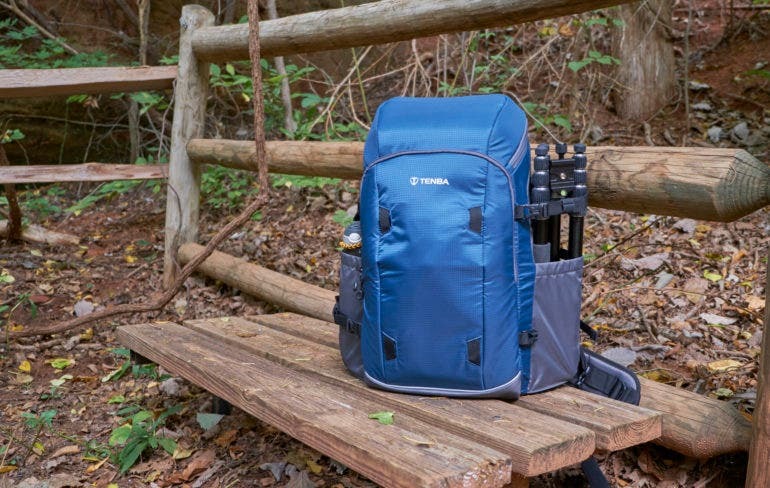 The first thing you will notice about the Tenba Solstice 24L is just how big of a bag it is. And yes, one should know this even before seeing it as the size of the bag is part of the name, but wow: someone coming to this bag from a more compact model might think you’d be able to carry everything and the kitchen sink. I personally am used to carrying large camera bags, but while the height and width of the bag (height 20 inches, width 12 inches) was no shock to me, the depth of the bag was (10 inches). There is no doubt about it, you can fit some serious gear into this bag. Despite its size this bag is still okay to be used as carry on baggage when traveling by plane. The Tenba Solstices’ overall dimensions do not add up to the FAA’s max bag size of a linear 45 inches (it measures 42 inches), but this can vary by airline so always double check. As you can see from this side shot, the Tenba Solstice 24L is deep, deep enough in fact to carry one to two full sized, gripped DSLR’s, and even then you still have a little headroom when they are down in the depths of the bag. As you move around the outside you’ll see the two oversized pockets on either side. The pockets are very large, and like the main body of the bag itself, they are also very deep. On the top sides of the pockets there are two expandable strips that let the pockets grow by about four inches away from the body which means these pockets can hold tripods securely, and oversized water bottles with ease. The pockets also have their own straps with clips so that you can really tighten down whatever you may be storing in them. The front of the bag is quite minimalist from a design standpoint. 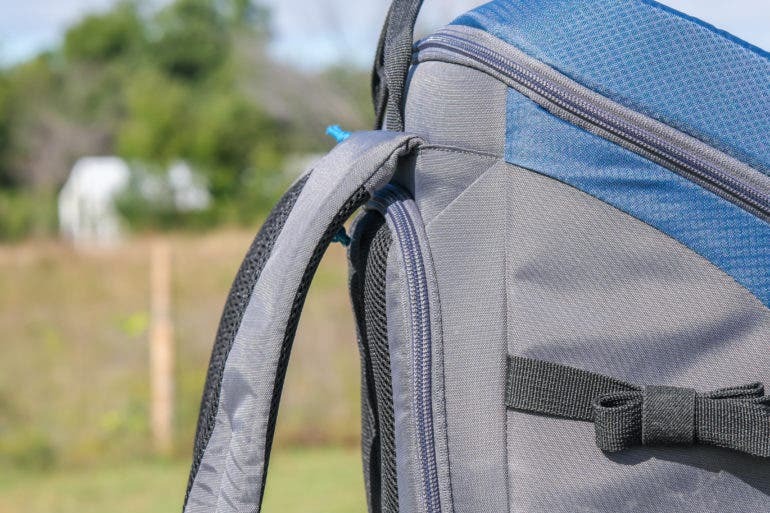 There are four tension straps which can have the side mounted straps threaded through them so that you can strap a jacket or oversized item to the front, and you will also find the front pocket. Once you unzip the pocket you will see a dedicated sleeve for a 13 inch laptop or tablet, and you will see a few more cubby’s for things like pens, keys, cleaning cloths, and any other small accessories you can think of. If you like to carry a notepad or journal there is ample room. 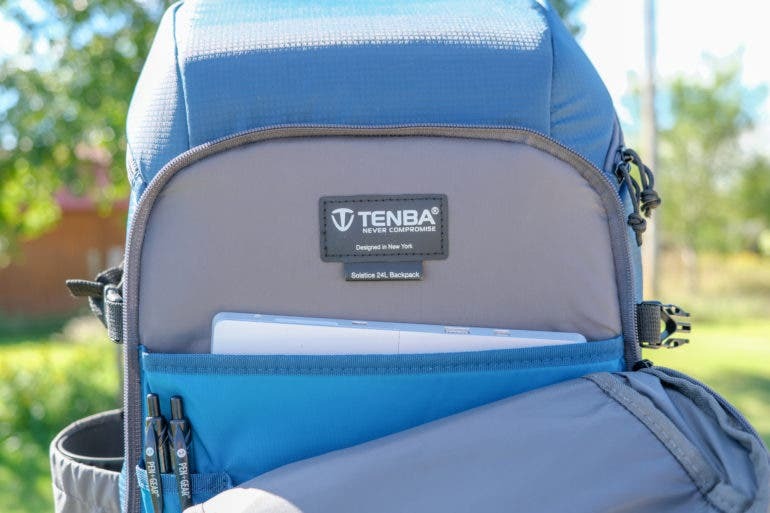 Above the laptop sleeve you will also find the Tenba logo stitched into the wall. Around the back of the Tenba Solstice 24L you’ll find the Airflow harness system, and ventilating 3D mesh covering the rear door. 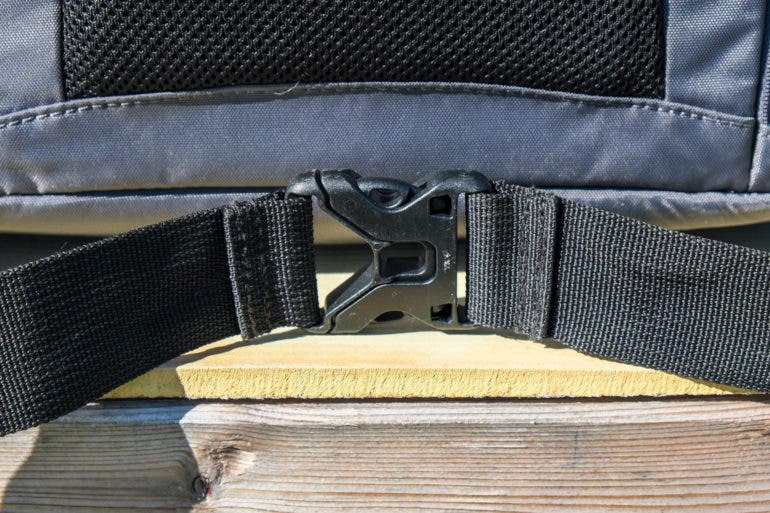 At the bottom of the bag you can see the two padded side straps for the waist belt, and on the bottom of harnesses you can see the system that controls the position of the chest strap. Two YKK zippers that are used to open and close the rear compartment door add a nice contrasting pop of color to an otherwise bland back. The top compartment of the bag is large and there is a lot of room for accessories, clean clothes, or even a small drone. The base of the top compartment can be moved to either expand the top of the bag, or you can of course shrink the size of the compartment back down and have more space for lenses and camera bodies in the main compartment. On the inside of the compartment you will find the weather proof cover neatly stored away in its own pouch, and on the inside of the lid there is a zippered mesh compartment where you can store cables, memory cards holders, and anything else you can think of. When Tenba sent the bag to me for review they also included some of their organizational pouches as well. The Tenba Cable Duo 4 Pouch, which I used to organize all of my batteries and cables in, and the Tenba Tool Box 4, which I used to store my GoPro and all of its accessories. They made keeping everything neat and tidy very easy and they fit perfectly into the top compartment. Depending on how you organize your equipment you can get quite a bit of gear into the top section. The main compartment of the Tenba Solstice 24L is accessed through the back of the bag, and as you can see, you can get a lot of gear in to this space. All of the dividers can be removed and replaced in any configuration you can think of. As mentioned above, you can slide the compartment divider up or down to allocate more or less space to the main compartment or to the top compartment. The bag is deep enough to even place the Tenba Tool Box 4 in here on top of the Sigma 150-600mm lens. If you have the gear, this bag has enough space to hold it for sure. 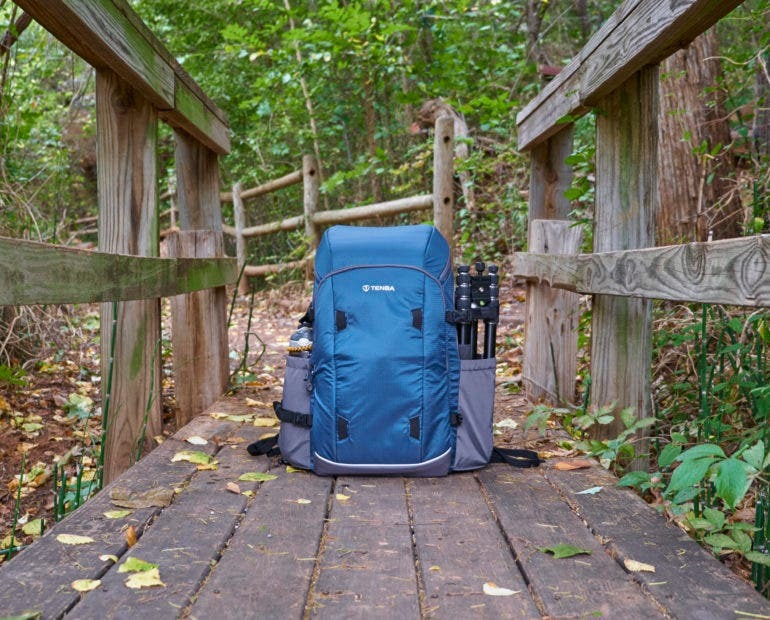 There is no doubt that the Tenba Solstice 24L was designed to be used in the great outdoors rather than in a bustling city. The Solstice 24L’s large size will have you bumping into objects and other people as you maneuver your way through city streets, and that’s fine because not everything has to be good for multiple uses. I’d rather have a bag that is a master of one thing more than a bag that could force you to make compromises. This bag is made to be out in the elements, and it’s designed to hold copious amounts of gear along sometimes unforgiving trails, but it’s the last part there that leaves me with some questions. Why would a bag designed to hold so much heavy gear for long periods of time have so little padding on the shoulder straps, and why does the bag have such flimsy clasps to secure the bag to your person, especially when one of the bags selling features relies heavily on said clasp? As you can see from the shot above, there isn’t a whole lot of padding on the shoulder straps. During my hikes I had this bag loaded down with 20 plus pounds of gear and after just a few miles those straps start to make themselves known. The quality of the materials that the straps and the bag are made from is very nice though, and the breathable mesh is certainly a welcome feature. The chest strap does help support the bag and does seem to take some of the weight off of the shoulder straps. The chest strap is a little strange though. You can adjust the height of the straps but even at their lowest setting they still seem to fit really high up on the chest. The padding on the side straps which wrap around your waist is about the same thickness as the padding on the main shoulder straps, but here this amount is perfect to stop those straps from cutting into your side as you go on about your journey. The straps also feature the great breathable mesh. I just wish these straps were removable for those of us who won’t use next feature I talk about. 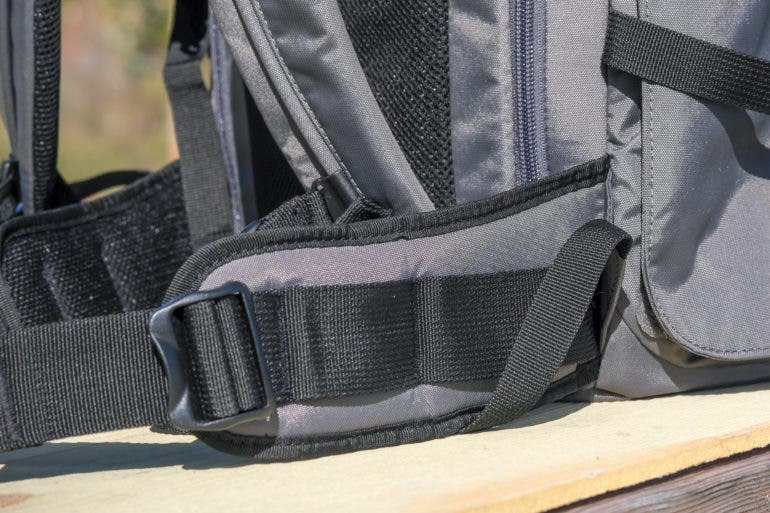 The clasp pictured above is perhaps the worst design elements of the Tenba Solstice 24L. One of the main features of the bag is the ability to remove your arms from the shoulder straps, and swing the bag around to your front so that you can access the rear compartment door without putting the bag down on the floor. 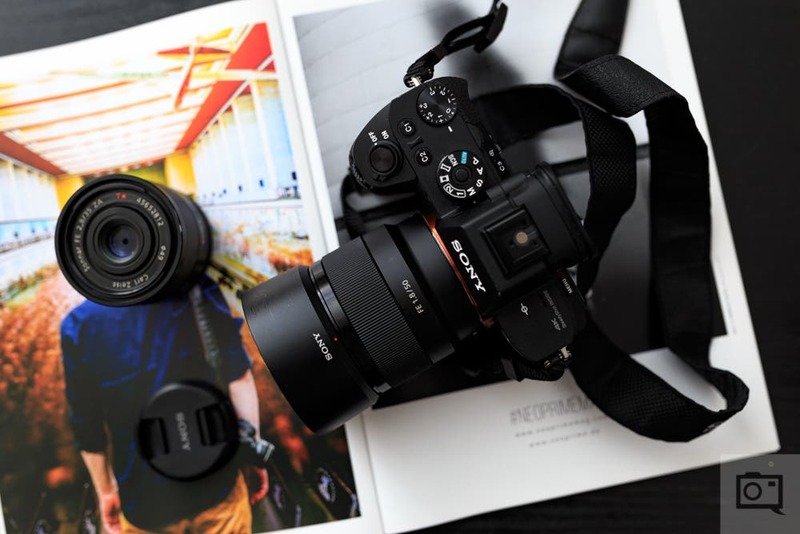 When you utilize this feature, the fate of your camera gear rests solely on this one clasp. Yes, the clasp is double stitched to the strap so it is secure there, but the clip itself feels cheap. The clip on my bag isn’t very sturdy, was easily deformed with just a little pressure, and it didn’t feel secure when locked. Putting the fate of a few thousand dollars worth of gear in the hands of such a clasp is just not something I could do. When testing this feature I felt quite uncomfortable, which is a shame because in theory this design feature is great. Is it a deal breaker? I don’t think so. Usually after a long hike I like to put my bag down to get my gear out because it gives my back a break, and I am sure most who hike long distances do the same. I personally wouldn’t use or rely on this feature, but for those who do, make sure you are comfortable with the clip on your bag. 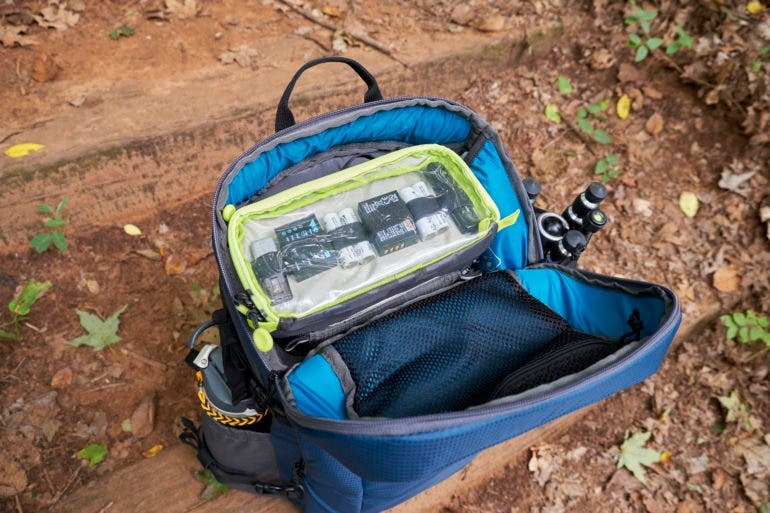 The Tenba Solstice 24L is a very easy bag to use overall. The straps adjust easily enough so that you can get things just right before you head out. The main compartment of the bag is easy to adjust and can accommodate a staggering amount of equipment. During my time with the bag I actually switched from Canon over to Fujifilm. I sold my 6D Mk II and most of my Canon glass and purchased the Fujifilm X-T3. I was a little bit worried about how a smaller camera body and much smaller lenses would fare in this bag given its overall size and depth, but those fears were allayed early on thanks to me being able to easily configure the bag to fit around my new gear. 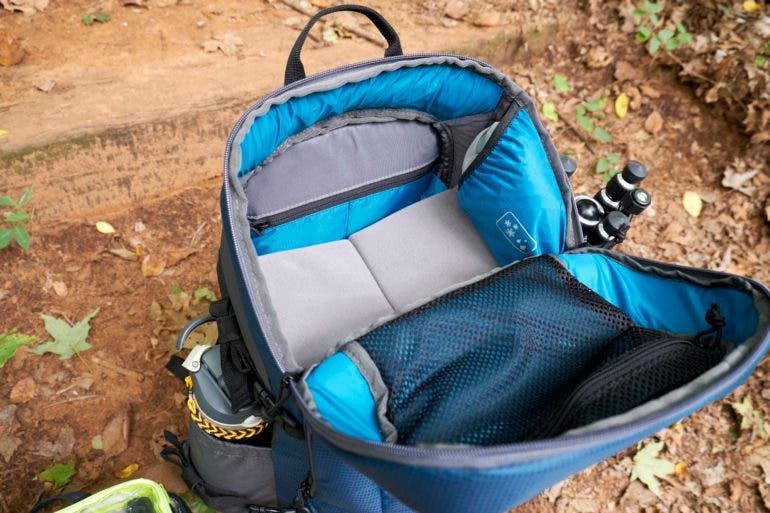 The velcro holding the well padded separators in place is incredibly strong so you don’t have to worry about anything coming lose during your trek. The bag does swing freely around to your front when you decide to exercise the option of getting into the bag without fully removing it from your person; the zippers operate smoothly and the doors to the compartments open up nice and wide so that you can get the equipment you want out of the bag quickly. The weather resistant nylon is easy to wipe clean if you get it dirty, and the included weatherproof cover is easy to get out and put on the bag when the weather changes. Around the city and in urban environments you may struggle to use this bag, especially if you rely on public transport to get around. Its size will make it cumbersome for sure, and you will find the bag hitting objects and possibly people because you forget how much it sticks out from your back. The great thing is that you do not have to worry about anyone being able to access your gear due to the main access panel being against your back at all times. I certainly wouldn’t recommend Tenba Solstice 24L if you live in a city and plan to use it exclusively, but if you need to get to a shoot downtown and must have all of your gear with you, this bag will work. Overall the bag does what it needs to do and it does it well. 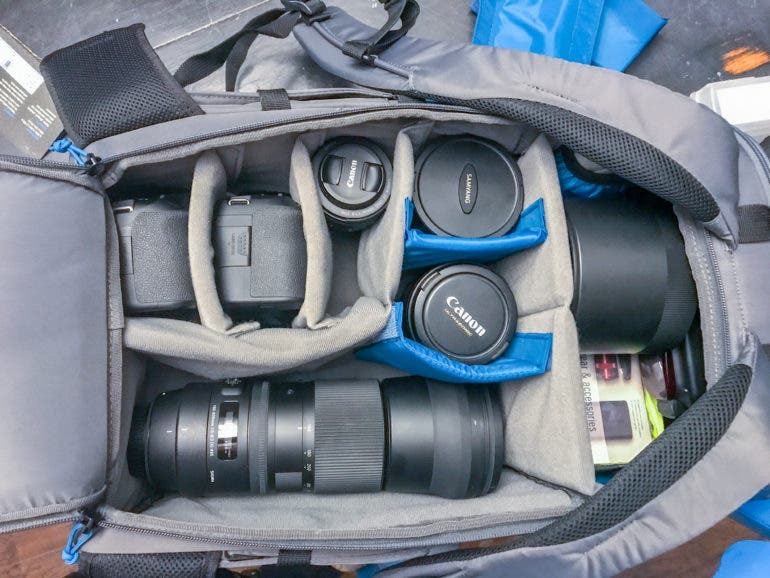 Configuring the bag to organize and secure your camera, lenses, and accessories is easy to do. Adjusting the bag to fit you is an uncomplicated process, it’s easy to clean and maintain, and if you opt to trust the clip, being able to swing the bag from back to front offers quick access to all of your belongings. 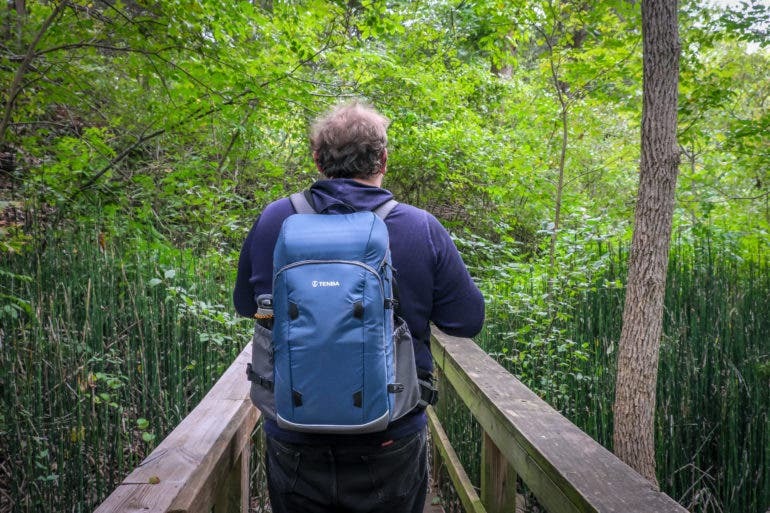 In terms of bags designed for carrying a lot of gear for travel and hiking, the Tenba Solstice 24L is perhaps the best bag I have used despite its flaws. So is the Tenba Solstice 24L a bag I will start a long term relationship with? Yes! Despite a few flaws, the pros of this bag outweigh the cons. 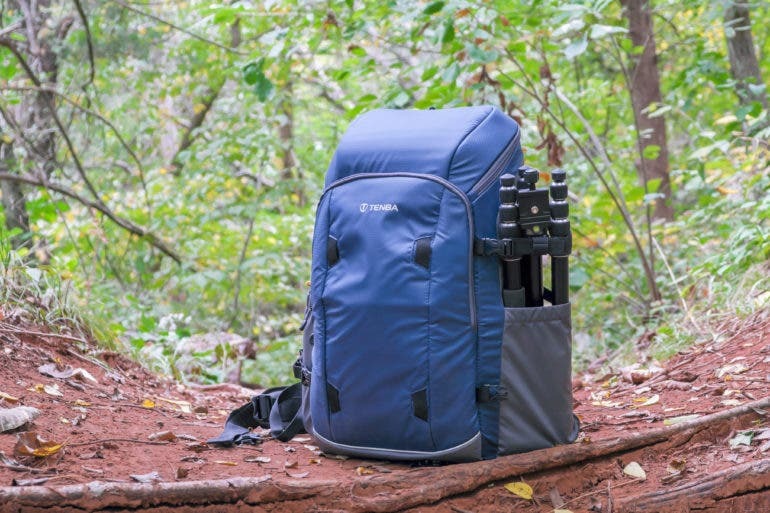 The overall design, build quality (apart from that clip), ease of use, and configurable space make this a great bag for landscape photographers who like to take it all with them. 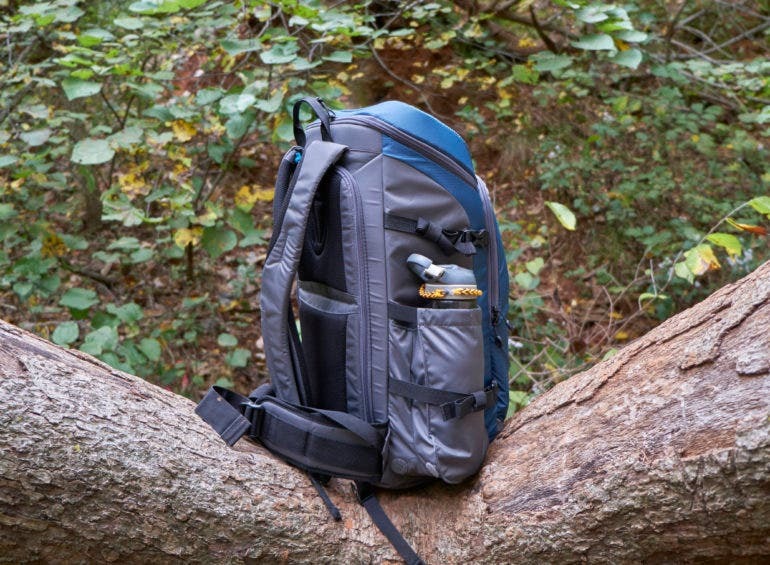 If you’re a city dweller who likes to get into the wilderness on the weekends, or if you spend all of your time being one with nature and you have a lot of gear, this bag could be the one for you. It’s available in both the blue color you see above, or black. 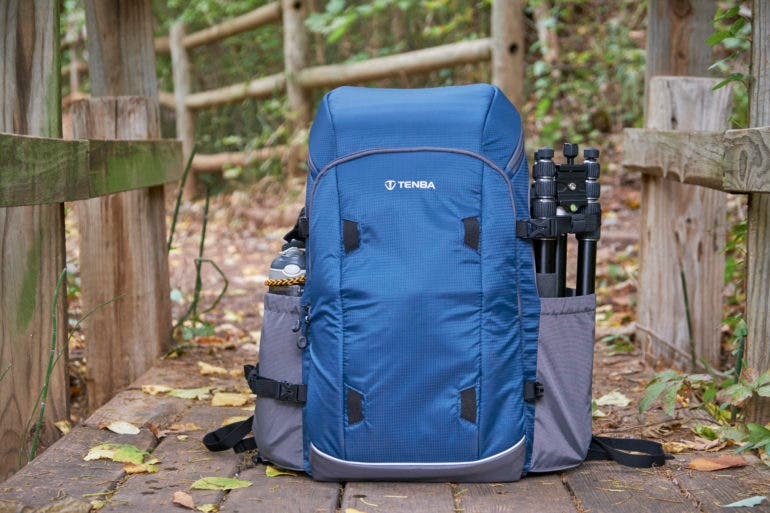 The Tenba Solstice 24L receives 4 out of 5 stars. It really is a great bag for those who need a lot space for their photography gear, and for those who love the great outdoors. For the price, you are getting a lot of bag that will serve you well for a long time.